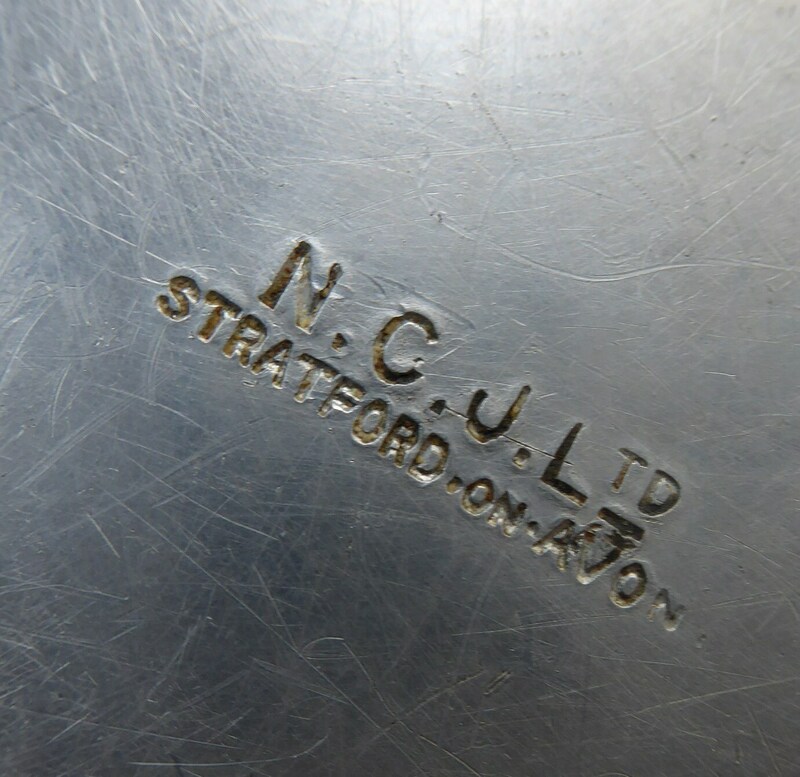 This is another little interesting design item dating to the early 20th century. This is a copy of a design for a pewter box - which was originally designed by the celebrated Arts & Crafts designer, Archibald Knox for sale in Liberty. 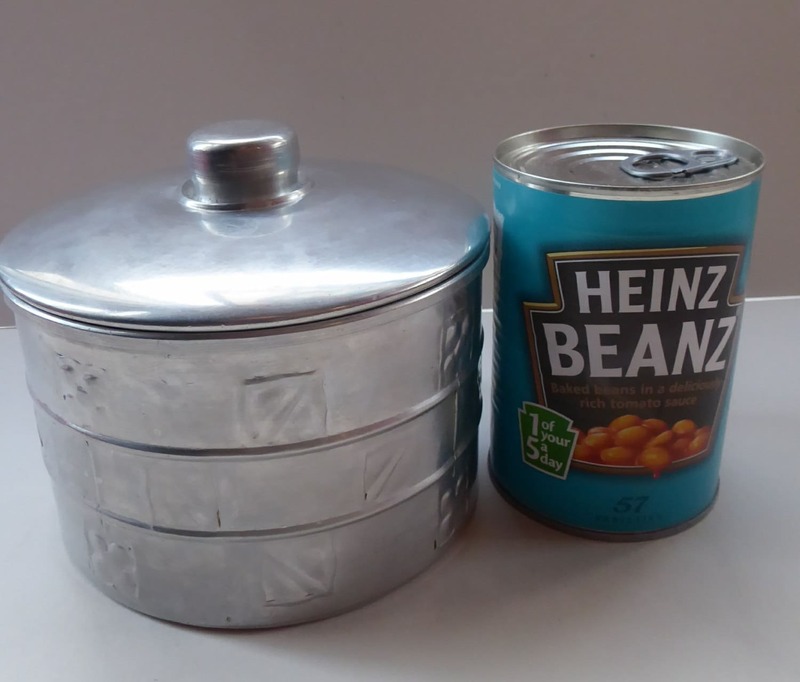 This little box - however - is not made in pewter but in much lighter, moulded aluminium, and it was issued as a little lidded biscuit box or tin. 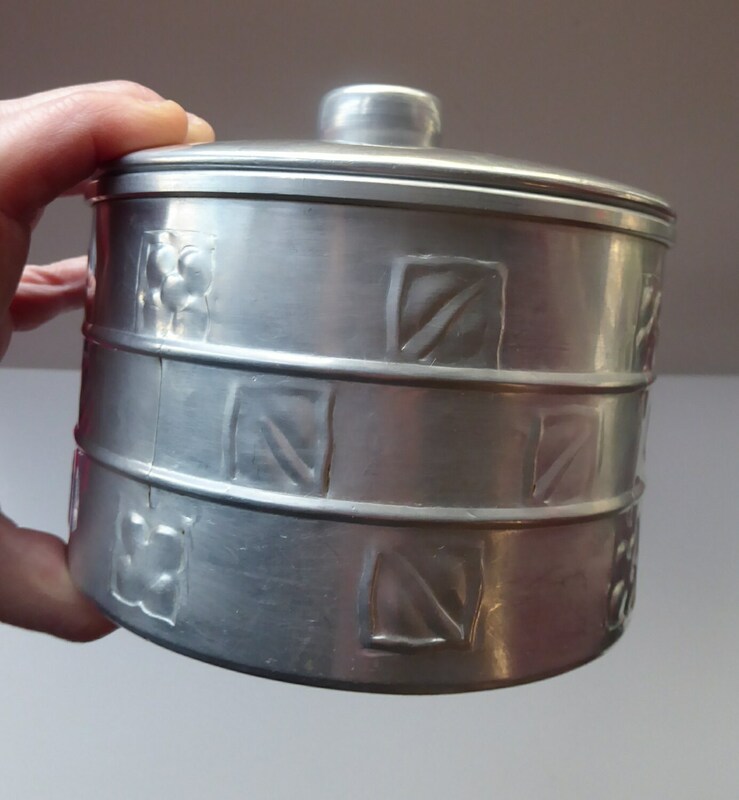 It was probably made as an advertising item for a functional biscuit barrel - and intended for customers who could not afford a Knox original or wished to use it everyday. My box is in prettty fine vintage condition - with no major dents or dings. It displays well - and at £45 is a fraction of the price of a pewter Knox original. Interesting collectable - showing how commercial manufacturers managed in the early 20th century to mass produce more upmarket specialist homewares. 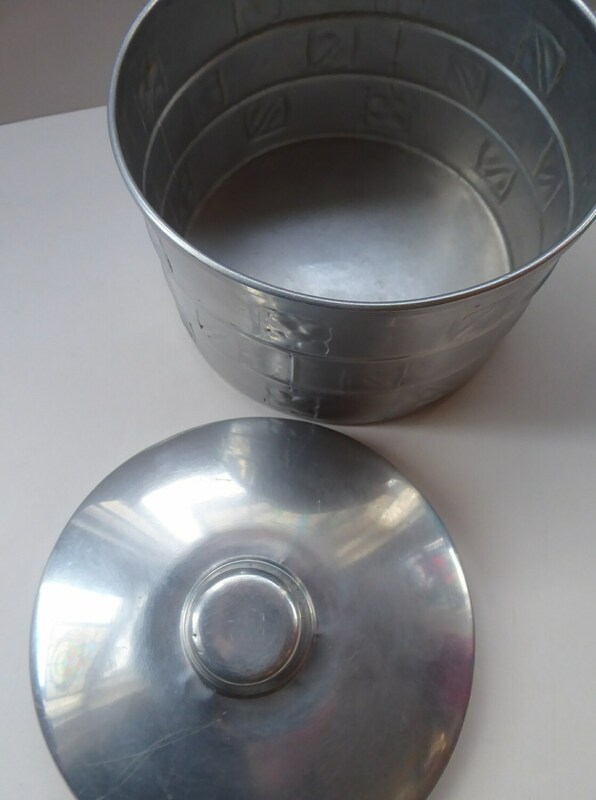 Dimensions: diameter is 5 1/4 inches. 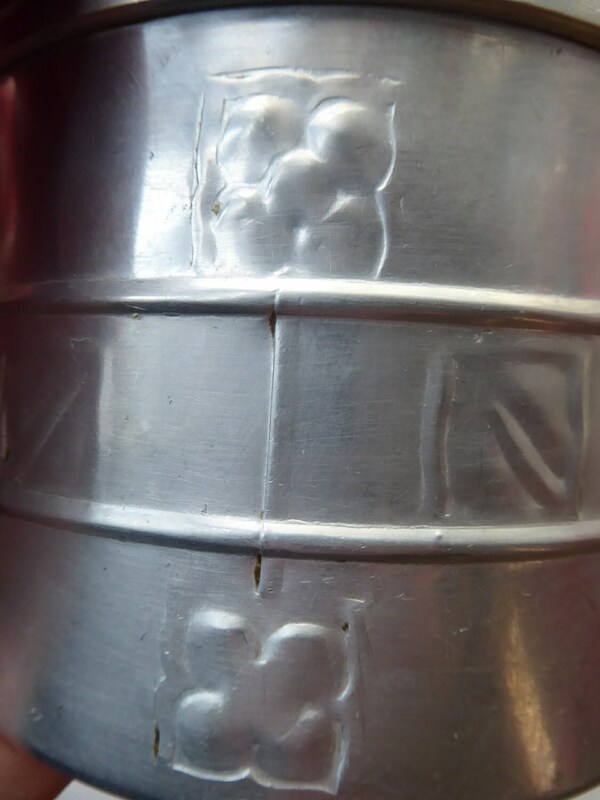 Height, including knop on the lid, is 4 1/2 inches. Please also see my gorgeous original Archibald Knox cigarette case which is also in my Etsy shop.